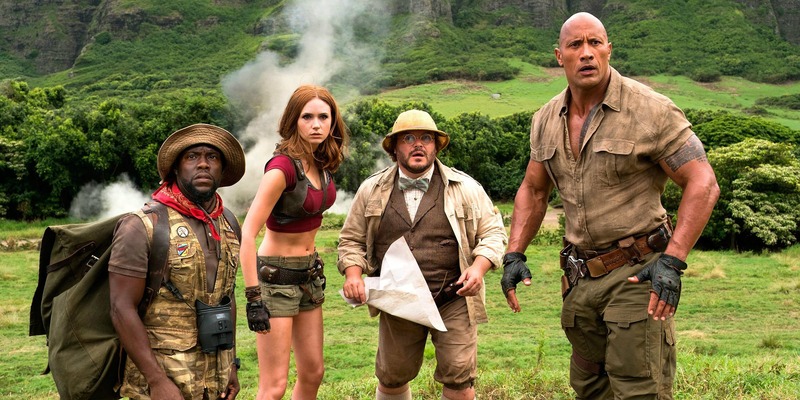 ‘Jumanji: Welcome to the Jungle’ is an inventive twist on the 1997 magical yet dangerous board game. The movie begins with four high school kids, who each have totally different personalities, and find the old video game console and decide to play to pass the time. They choose characters but what they don’t know is that they turn into these characters in the game, this process is a lot more important than they realise. Not only do they play the game, but they must also complete the game in 3 lives, or else they die in the game and in real life! The movie stars Kevin Hart, Dwayne Johnson, Jack Black, Nick Jonas and Karen Gillan as the teens trapped in adult’s bodies. Comedy is a constant theme due to the confusion along the way, and it’s a movie where you won’t want to miss a thing! During their time in Jumanji, each character realises more about themselves. Once they leave, they all become new people and not to mention a new friendship group on the block. Overall, the movie is a true reflection of the game; perhaps it can serve as a sort of time capsule. Watch this movie at The Light Cinema Bolton just like I did. The film may just hang around for 20 years, at which point audiences can revisit it, take in what it does right, what it does wrong, and wonder why we were so obsessed with it in the first place.